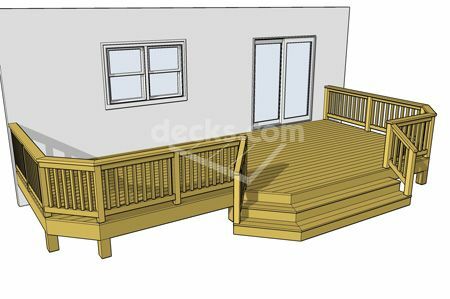 This 26' x 12' deck mixes things up with an angled front face and a central stair that follows the geometry of the undulating perimeter. 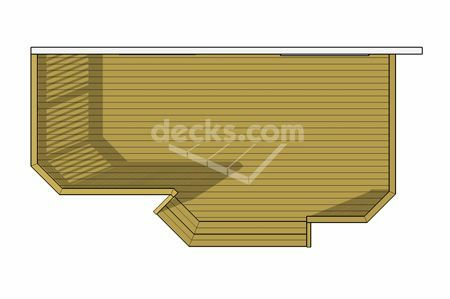 This deck presents an organic representation of shape and form. 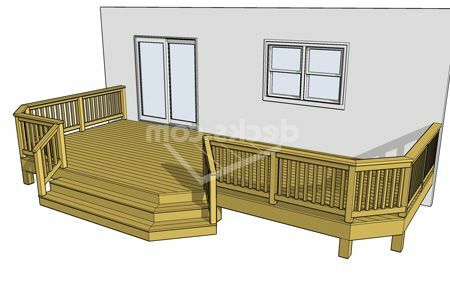 A great opportunity to use landscaping to enhance features of the deck.